We are considered a dependable Exporter and Supplier of . Trainer Kit (BT) is a Bluetooth Serial Development Board. It works in a wireless range of over 100M (130 ft). 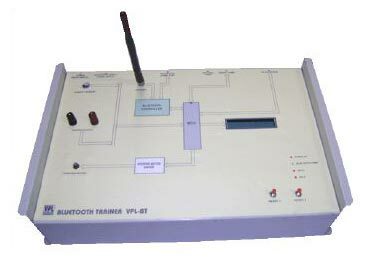 Trainer Kit (BT) supports interface with RS-232 system. Note : Specifications can be changed and added without notice in our constant efforts for improvement.